A freehold residential site at 45 Amber Road has been sold to real estate developer UOL Group for $156 million. With a plot size of approximately 70,000 square feet, the 45 Amber Road site is currently occupied by Ban Nee Chen – a nursery and landscaping business that has been operating for more than 30 years, and will be required to move out after this acquisition. The site will be able to yield an estimate of 190 residential units in a single block of 22-storey tall. UOL believes that this new launch project (named as Amber 45) in future will be able to draw strong demand from prospective buyers due to it being a freehold property situated in the Marine Parade/Amber Road area. 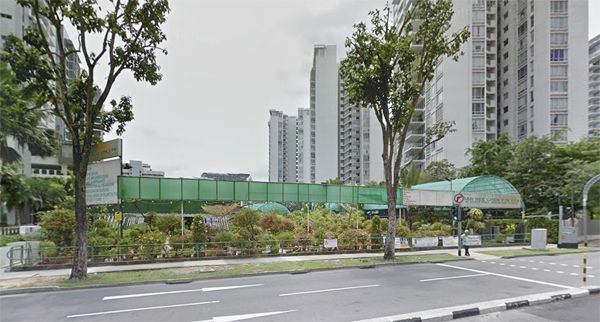 Despite having most of the focus channelled to their latest upcoming launch at Clementi Avenue 1 – The Clement Canopy, it was added by the deputy group chief executive of UOL, Mr Liam Wee Sin that the timing to replenish the group’s land bank with 45 Amber Road couldn’t be better. The most recent project by UOL group in the East Coast precinct was Seventy St Patrick’s, launched back in year 2014. All 186 apartment units were sold at an average per square foot (psf) price between S$1,600 to 1,700. Since then, the market haven’t been seeing much projects creating waves in the East Coast precinct. The ones that are most noticeable will be Marine Blue by CapitaLand and the upcoming Seaside Residences at Siglap by Frasers Centrepoint. Property consultants have noted that the 45 Amber Road site was an attractive plot for a few reasons; namely it’s relatively low quantum, being close to a wide range of amenities & established educational institutes and most importantly, the site is just a short walk to the upcoming Marine Parade MRT Station (part of the new Thomson-East Coast MRT Line due to complete by year 2023). The property group has only made the headlines last week with their acquisition of The Nassim through Mr Wee Cho Yaw (the chairman of the group’s board of directors) via private property arm, Kheng Leong for a whopping S$411.6 million.